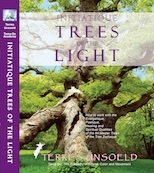 Initiatique Trees of the Light! This is a 388-page book filled with magical photographs and paintings.. 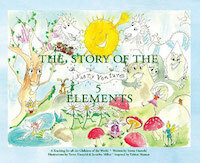 This is a 306-page book filled with magical photographs and paintings. 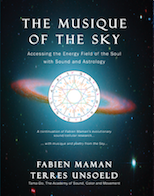 Explore the energy field of our Soul, taking us deep within the sounds and musique of our astrological chart. 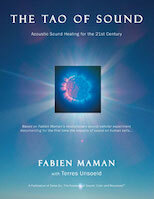 It is everything you ever wanted to know about Fabien Maman's sound research and sound protocols from Star to Cell - linking the human body, organs, meridians, chakras and subtle energy fields with the 5 elements of nature, 8 directions of the Bagwa, the Kaballa and the stars and beyond. 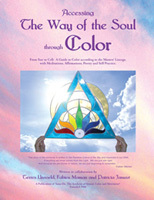 "Accessing The Way of the Soul through Color"
"Accessing the Way of the Soul" is the definitive journey of color from Star to Cell, according to the Masters' Lineage. where the 5 Elements (Wood, Fire, Earth, Metal and Water) teach him the meaning of Life. 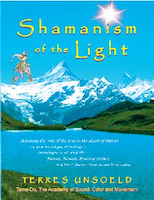 Although each book is complete in and of itself, when read together, these four books create a living structure which is based in the physical body on the laws of music and acupuncture and continues through the five elements of nature to the subtle bodies and even to the vibrational essence of cosmic energy. The Bagua (which means 8 sided) Sound Instrument® is our most recent Tama-Do creation. The geometric octagon shape allows the people to "capture" the energy in the eight directions, each of which brings a different quality of universal Chi. This is our own "Feng Shui for the Soul". In fact, without even ringing the tubes, just by standing in the middle of this shape, the energy has been measured to raise up to 50,000 gauss. When you use a magnet on an acupuncture point instead of a needle, the medium average energy level is 1000 gauss. Tama-Do students initiated in our work use the Bagua to link with the memories of this life and beyond. Students have described their experience in the Bagua as that of "pure golden light."